Internet-enabled TV could be getting closer to making TV advertising smarter. Dish Network is working with Comscore to measure so-called addressable ads targeted to individual households no matter where or how they are watched, including through its over-the-top service Sling TV. Currently, Dish Network measures addressable ads that run on its traditional satellite service separately from those that run on Sling TV. With Comscore’s measurement capabilities, it can now combine the two so marketers can get a clearer picture of total reach and an apples-to-apples comparison. It can also measure across platforms including desktop, mobile devices, smart TVs and devices like Roku. When Dish Network first announced its internet-delivered skinny TV bundle, one of its promises was to make TV advertising work harder by being able to target very specific audiences. It’s been nearly three years since the satellite operator launched Sling TV, and while it began offering brands the chance to target their ads to specific households in mid-2017, for the most part, the ad experience on Sling continues to look similar to its satellite counterpart. As for addressable advertising, the industry has been talking up the ability to send messages to individual households for years, but progress has been slow due to limited reach and labor-intensive processes. But Adam Lowy, head of ad sales at Sling TV, declares 2018 the year of addressable advertising. He says Comscore’s measurement will boost the potential reach for addressable campaigns and bring new business to the addressable marketplace. 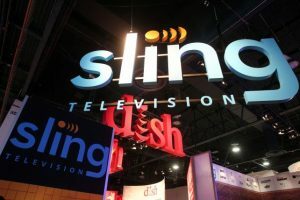 Lowy declined to reveal how much addressable business has been conducted on Sling TV, but said Dish Network has executed more than 1,000 addressable campaigns. According to Comscore, addressable advertising on TV is expected to grow 66 percent this year to $1.3 billion. Dish Network began selling ads for Sling TV in programmatic auctions last summer. And in the fall it allowed marketers to buy addressable ads across Dish and Sling TV in a single buy.